At Brasserie Blanc we think food is all about relationships. And not just bringing people together around a table but also our relationship with the produce, where it comes from and how it is treated on its journey to us. We have some incredible, long-standing relationships with amazing food producers who are as passionate about quality, provenance, sustainability & taste as we are. In a series of short films that celebrate a passion for good food we visit some of our foodie friends to bring you a behind the scenes look at where some of our favourite dishes have their roots. Together with Clive Fretwell, our Executive Chef & James Wellocks, one of our fabulous suppliers, we took a trip to sunny Norfolk to meet Gavin and his ducks at Watercress Lane Farm. Watercress Lane Duck Eggs are one of the UK’s leading producers and are setting the standard in safety, quality and traceability. 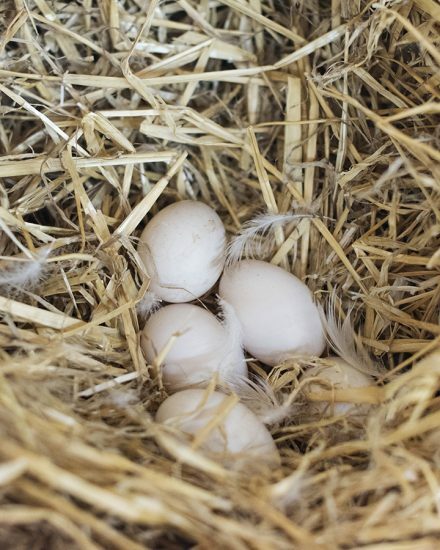 What makes these duck eggs special is their little blue duck stamp – this ensures the result will be safe, fully traceable, labelled with lay dates and best before dates, quality marked, fresh and delicious. It’s a guarantee of quality for their customers. The eggs are collected by hand every morning, 365 days a year, and carefully washed and packed by Gavin & his team. We were lucky enough to spend the day here to see the process from start to finish, including meeting a newly hatched chick which we named Raymond. Find out more about Gavin, his ducks & our trip to Watercress Lane Farm in our short video below.